She graduated in 1940 from Guilford High School and was active in planning and participating in class reunions. She retired from Guilford Mills Credit Union after 15 years of service. 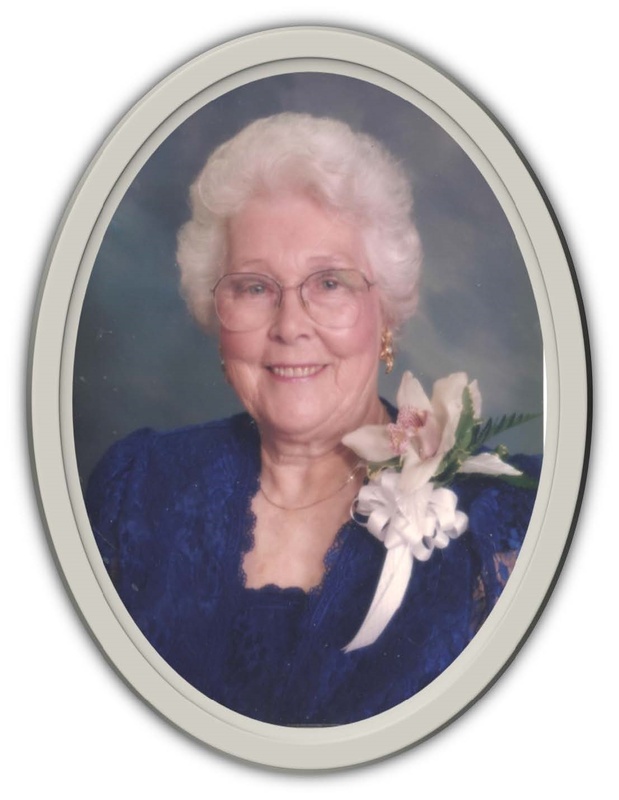 She loved her work at the credit union and the many friends she made while working there. She was a member of Muirs Chapel United Methodist Church for over 75 years and after retirement was able to spend even more time at the church. She was an active member of Lee's Bible class and during her time served as a Sunday School teacher, the church treasurer and a Circle leader and volunteered with Senior Wheels and United Methodist Women, where she served as president for several years. She loved her church and lived her life in honor of the church. She was an avid reader and loved to watch movies. For many years she did ceramics and family members have many pieces she made. She was also an accomplished seamstress. She loved gardening and was a member of Quaker Gardeners, participating in and winning ribbons at many flower shows. Her flower beds were admired by many. Above all, she loved to travel, and was able to go on many cruises and trips with family and friends. She is survived by three daughters, Jo Ann Doyle Bondurant of Greensboro, Ellen Wall Payne (Brian) of Appleton, WI, and Ruth Wall Kopp (Rudy) of Hartland, WI, grandchildren Richard Bondurant (Michelle) of Greensboro, JoEllen Bondurant McCormick (Steve) of Stokesdale, Mike Brande (Jenna) of LaCrosse, WI, and David Kopp and Arah Kopp of Hartland, WI, step grandsons Rudy Kopp, Jr., Joey Kopp and Kris Kopp of Hartland, WI and great grandchildren Justin Bondurant and McKenzie Bondurant of Greensboro and Tori Harris and Luke Harris of Stokesdale. She is also survived by a brother, Henry (HG) Swiggett, Jr. (Marie) and a niece, Alice Workman (Mike) of Thomasville. In lieu of flowers, memorial donations may be made to: Muirs Chapel UMC, 314 Muirs Chapel Road, Greensboro, NC 27410; St. Paul Elder Services, 316 E. 14th Street, Kaukauna, WI 54130.